Back pain is common. According to the American Chiropractic Association, over 31 million Americans admit to having symptoms of back pain and research shows that about 80% of the population will experience it at some point during their lives. Americans spend an estimated $50 billion each year to treat their back pain and a huge portion of that money is spent on spinal surgeries. With so many people struggling from back pain, it’s really no surprise that spine surgery is steadily becoming a mainstream field of health care when, only years ago, it was presented as a last resort for people who were dealing with chronic pain. While the technology behind spine surgery has certainly advanced and become immensely safer and more effective, it still is a very complicated procedure on a very complicated and delicate area of the body and isn’t something that should be undergone lightly. Spinal fusions, a surgical procedure that is used to remove a deteriorated or diseased disc and graft two vertebrae together, are no exception to this rule. Nevertheless, the rate of fusions in the United States has more than doubled from the start of the 21st century and are only continuing to increase from year to year. Why are Spinal Fusion Rates Going Up? There are a number of reasons why spinal fusion rates have skyrocketed over the past several years including an increasingly aging population, financial incentives and better health care technology. An increasingly aging population is likely one of the key reasons that spinal fusion rates are rising in the United States. People over the age of 65 are more likely to experience symptomatic spinal conditions as a result of natural degeneration and can turn to surgery, even if it is unnecessary in their situation, to help treat their pain. This is important because most spinal conditions are a result of natural wear and tear that occurs over time and many conditions, like degenerative disc disease, are more likely to become symptomatic as people grow older simply because their spinal structures are worn and weaker. Degeneration naturally occurs throughout the entire body as we grow older. Years of constant wear and tear take their toll, especially on the areas that typically absorb a significant portion of the shock we receive throughout the day, like the ankles, knees and spine. In most cases, it’s not the bones themselves that experience the effects of degeneration, but the cartilage-based structures that hold them in place. The bones in your spine, known as vertebrae, are connected by cartilage discs that are filled with a watery, jelly-like substance known as the nucleus pulposus, these discs provide shock absorption, cushioning and mobility to the spine. However, over time, these discs start to experience the effects of natural degeneration. This degeneration can manifest itself in several different ways, but often involves the cracking or collapse of the rigid outer layer of the disc, known as the annulus. Depending on the severity and location of the crack or collapse, the inner material of the disc, or the disc itself, can start placing pressure on the spinal column and sensitive nerve roots that exit from it, causing a various number of spinal symptoms. In some cases of symptomatic degenerative disc disease, surgeons will recommend removing the affected disc entirely and joining the two vertebrae together through a spinal fusion to help relieve pain and restore support to the spine. While degenerative disc disease is certainly one of the most common reasons that older individuals experience back pain, it’s far from the only age-related condition that can prompt a fusion. Research has shown that people over the age of 60 tend to experience back pain more commonly than any other demographic and many conditions like spinal tumors, arthritis, fractures, infection and stenosis appear more commonly in older adults. Over the past decade, the technology assisting neurosurgeons has advanced dramatically, allowing them to diagnose more spinal conditions with greater accuracy and perform spinal fusions in a much safer, effective way. Diagnostic tools have become much more sophisticated over the past couple of years. Through the use of MRIs, X-rays and CT scans, trained spinal specialists now have the ability to see tiny details throughout the complicated structure of the spine and pinpoint the exact cause of a symptom, before ever putting the patient on the operating table. 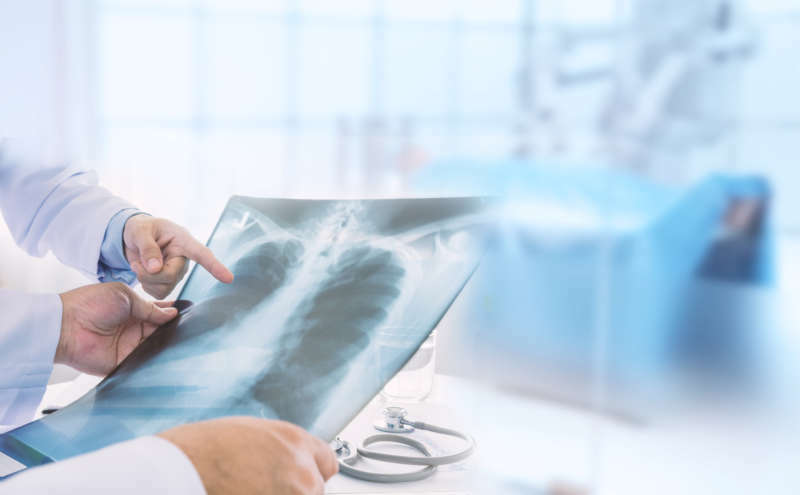 An accurate diagnosis is absolutely essential to the proper treatment of a spinal condition, however, but it may also encourage patients to undergo surgery. It’s a natural progression from diagnosis to surgery. When patients are diagnosed with a certain condition, they are very likely to start trying to find a treatment to their pain and most will probably seek recommendations from the physician that gave them the original diagnosis, who may recommend surgery. This might explain why the number of spinal fusions has skyrocketed in the United States over the past couple of years. Unfortunately, what many people don’t understand is that most spinal conditions, even those that are symptomatic, don’t need to be treated with surgery right off the bat. On the contrary, major procedures, like spinal fusions, should be the last resort for people who aren’t finding any relief from conservative treatments like physical therapy, epidural injections, massages, exercise or rest. Nevertheless, physicians are often financially incentivized to perform surgery as opposed to referring a patient to an outside, conservative treatment specialist.5 So, many encourage surgery as soon as the diagnosis is given. This isn’t to say that all spinal surgeons who recommend surgery are simply after your wallet and don’t really care about your outcomes; most are probably well-intentioned, but simply misinformed at the impact of surgery and the viability of more conservative treatments. This is why it is so amply important to receive a second or third opinion when considering spine surgery and ensure that you get actual imaging of your spine. While medical technology has allowed spine surgeries to be done in a much more minimally invasive manner and with far greater accuracy than ever before, they still can have a dramatic impact on the body and should not be entered into lightly. We recommend that you take advantage of the powerful imaging tools that are available to spinal specialists and find out what’s really causing your daily back pain, then take those results to several, highly-rated neurosurgeons in your area to see what they believe is the best way to proceed. Since most spinal treatments are covered by health insurance or workers compensation, health care providers can charge exorbitant amounts for their services and force insurance companies or the government to pay them, while reflecting relatively minimal costs on the patient. This is why the average cost of a spinal fusion in the United States is over to $40,000, according to Healthcare Blue Book. The problem with this trend is that, since physicians have a greater financial incentive to perform surgery, research has shown that they’re more likely to recommend it, even if it isn’t the best or only treatment options that’s available. Often it is the patients who are misinformed, don’t seek second opinions or ever actually get images of their spine taken that are most likely to fall into this financial trap. They don’t understand that surgery isn’t their only option and simply take their doctor’s word for it, which can be a mistake. We want to make it clear that most doctors aren’t trying to use you for your insurance money. On the contrary, most actually genuinely want to help you recover from your condition, but it’s important to know that these financial motivators do exist so that you don’t undergo an unnecessary surgery. The best way to ensure that you choose the best treatment option for yourself is to have actual images taken of your spine, ideally through an MRI or CT scan and then get opinions from multiple, highly-rated neurosurgeons in your area. In a nutshell, the most important thing to look for when needing spine surgery is an experienced surgeon who is honest about outcomes and uses the best tools available to provide you with the best potential outcome. Staring in the face of a major surgery like a spinal fusion can be a scary thing and it’s not a decision that should taken lightly. As we’ve mentioned before, surgery should be your last resort if you’re not finding any relief from your back pain through conservative treatments. Even then, we encourage anyone who is struggling with chronic back pain to get second, third, even fourth opinions from highly-qualified doctors around their area to ensure that they have explored every avenue. If you have finally come to the educated conclusion that you need a spinal fusion, or any other type of spine surgery, here are a few of the key things that you should look for when decided where you should go and who you should trust with your spine. When making a major purchase decision in life, like buying a car, most people take their time to ensure that the product they’re buying is exactly what they want, even down to the smallest details like color, year and features. They visit multiple dealers, browse hundreds of websites and test drive dozens of cars before they ever even consider making a purchase. A car may last you a decade or two, but you have to live with your spine for the rest of your life. So why wouldn’t you take your time to ensure that the treatment you’re receiving is exactly what you want and need? Unfortunately, this rarely happens in the health care industry. There is a common, though ever-diminishing, misconception in health care that a physician’s word is gospel and patients should do everything they recommend simply because it’s coming from someone with a medical degree. This shouldn’t be the case. You are in charge of your own health. You are the person who has to live with your spine and therefore you get to decide where, when and how you receive your surgery. This isn’t to say that you should ignore the advice of your doctor, specifically one who has spent years studying and working with the spine. But it is amply important that you are educated about what’s happening with your body and seek out other options before simply deciding to undergo surgery after one recommendation. You wouldn’t walk onto a used car lot, ask the salesman what he recommends for your specific needs and then buy whatever he recommends on the spot simply because he knows more about cars than you. You shouldn’t do that with your spine either. When picking a neurosurgeon, we suggest that you look at more than one viable option. On the contrary, pick out five or six in your area look at their previous surgical outcomes. Type their name, or the name of their practice, into Google and read the reviews that appear. See what other patients are saying about them. Does the surgeon take time with his patients? Does he explain things clearly and honestly? What are his outcomes? These reviews from patients, like yourself, will help you develop a clearer, more transparent picture of the neurosurgeon you’re considering. Doing that should help narrow down your options to two or three. At that point, schedule a consultation with each of them so that you have the opportunity to meet them face to face. Once you’re in the office, watch the office staff (this is often a great indication of the practice’s internal culture), if they are rude, abrupt and rushed, it’s likely the physician will be the same way. Then, once you meet the surgeon, listen to exactly what they’re recommending for your specific spinal condition. If they’re suggesting surgery, have them explain to you exactly what they’re planning on doing and get their honest, frank opinion for the potential outcomes of the operation. Any surgeon who won’t be honest with you or take the time to explain things clearly to you when discussing your surgery, doesn’t deserve your trust. By taking your time and exploring multiple different treatment options, you’re ensuring that you’re getting the highest quality of care and putting your spine in the best hands available. When it comes to a structure as important and lifelong as your spine, it’s vitally important that you are well-informed about your specific condition and take the time to research the many treatment options that are available to you. In the past, it was nearly impossible for patients to gain an understanding of the tools and technologies that neurosurgeons were using to best treat their spine, apart from speaking to the surgeon themselves. However, with the expanding reach and influence of the Internet, this content has steadily grown more and more accessible. We recommend that, before you decide on a spine surgery, that you take your time and research all of the treatments and technologies that can help ensure that your spine surgery is safe, accurate and effective. For example, over the past several years, robotic technology and powerful imaging software has advanced minimally invasive spine surgery to the point where it is steadily becoming commonplace in hospitals across the United States. However, this technology has a learning curve and some neurosurgeons, who are skeptical of the results or simply don’t want to invest the time or energy into learning the equipment, don’t employ it in their practices and continue to use the outdated, invasive format known as open surgery. For spinal fusions in particular, advances in nanotechnology, microbiology and robotics are helping ensure that fusions and disc replacements are more successful, safer and help patients retain more mobility after the surgery is complete. As a patient, wouldn’t you want to know that there was a faster, safer and more effective treatment option available before you decided to put your spine into the hands of someone who was using outdated methods? That’s why research is so fundamentally important. You should listen to what your doctors are saying, no doubt, but you should also compare what they’re saying with what you read from reliable, confirmed sources. This is an absolutely crucial point. Anyone with a website can publish content to the web. There is no approval process or real way of verifying whether or not what is being said on websites is accurate or not. So, it’s important that you find sources that are trustworthy and use real, clinical data to back up their claims. With back pain becoming more and more common in our culture, it’s vital that you have an understanding of how to deal with it when it comes your way. Despite what the health care industry may say, spine surgery is not a fix-all. It can certainly have dramatic, life changing effects for people who aren’t finding relief from conservative treatments, but it also comes with its risks. Do your research, talk to your spinal specialist and explore your options to make sure that you are in charge of your health and have tailored the best way to combat your pain. 1. Sauver, JL et al. Why patients visit their doctors: Assessing the most prevalent conditions in a defined American population. Mayo Clinic Proceedings, Volume 88, Issue 1, 56–67. 2. Schofield, DJ et al. Chronic disease and labour force participation among older Australians. The Medical Journal of Australia, 2008 Oct 20;189(8):447-50.